Back in December, President Trump said the United States will soon withdraw military forces from Syria. In a video tweet, he announced American military personnel are "all coming back, and they're coming back now." He never provided a timeline for withdrawal. However, Department of Defense officials claimed the withdrawal would take 30 days. A week later, President Trump changed the timeline from 30 days to 4 months. And since then, John Bolton, President Trump's national security advisor said certain conditions could leave American troops in Syria for months or years to come. Nevertheless, the U.S. withdrew some equipment in mid-January. So which one is it? Will they stay or will they go? As of now, it's unclear when or if American forces will completely withdraw. But if they do, the implications will be significant. A U.S. withdrawal will create clear winners and losers. Russia - If the U.S. pulls out of Syria, one of the biggest winners will be Russia. Russia is a longtime ally of Syrian President Bashar al-Assad. Russia's relationship with the Assad family goes back to the Cold War era and the days of the Soviet Union. With vital naval and air bases in Syria, Russia can't afford to see Assad toppled. This is why Russia entered Syria in 2015 with thousands of ground troops and air support. Russia's entry turned the tide of the Syrian civil war. Because of this, Assad owes his survival to Russia. This means, without U.S. influence in Syria, Russia alone will decide its future. The U.S. won't have any leverage when it comes to shaping post-war Syria. This will make Russia a big winner in the Syrian conflict. It secured its only naval and air bases in the Mediterranean. It also expanded its role in Syria as well as its Middle Eastern sphere of influence. Iran - Iran is another big winner. If the U.S. leaves, Iran and Russia will be the most powerful forces left. As Assad's two closest allies, they'll have a free hand to do whatever they want. Iran has long sought to dominate the region, if not directly, then through the use of proxy armies such as Hezbollah. A U.S. withdrawal gives Iran a clear path to the Mediterranean. Iran will have a corridor to transport troops and weapons to regional allies (such as Hezbollah) in both Lebanon and Syria. This also gives them the ability to position their own military forces and intelligence assets on Israel's border. Since first entering Syria in 2015, the U.S. has worked to disrupt Iranian activities from areas it controls (either directly or through allies). If the U.S. leaves Syria, these activities will stop. This will only enhance Iran's power and influence. Turkey - Turkey also wins big from a U.S. withdrawal. Turkey already controls territory in northern Syria. In Syria, the U.S. allied itself with Turkey's longtime enemy, the Kurds. Kurdish forces control large areas of Syrian territory, including areas along the Turkish border. Turkish President Recep Tayyip Erdogan would love to remove them, but the U.S. presence in Syria has held him back. The risks associated with an attack on the Kurds are too great. Any incident between Syrian and U.S. troops will trigger a crisis. But if the U.S. leaves, all that changes. The risk of an accidental military conflict with the U.S. disappears. Turkey will be free to attack Kurdish forces. The Kurds - The Kurds are a Middle Eastern ethnic group living in an area covering parts of northern Iran, northern Iraq, northern Syria, and southeastern Turkey. Each nation has long seen the Kurds as a threat to break off and form their own nation. Due to a long history of conflict, Turkey views the Kurds as a terrorist group and a threat to Turkish national security. Despite protests from Turkey, the United States allied itself with the Kurds to fight Islamic State terrorists. To date, the alliance has been successful. It severely diminished the Islamic State presence in Syria. The alliance has also protected the Kurds from a Turkish attack. All that will change if the U.S. withdraws from Syria. Abandoned, the Kurds will almost certainly face a Turkish invasion. Israel - While the Kurds face a potential conflict with Turkey, by far the biggest loser when it comes to a U.S. withdrawal from Syria is Israel. Removing U.S. forces from Syria will have huge implications for Israeli security. A U.S. pullout means a permanent presence of Iranian forces on Israel's border. This means Iran can directly supply Hezbollah and other terrorist groups with advanced weapons and rockets that can reach deep into Israeli territory. The presence of Iran and its proxy groups in Syria poses a mortal threat to Israel. While Iran could directly attack Israel now, it would almost certainly be destroyed by an Israeli counterattack. But if Iran attacks Israel through proxy groups such as Hezbollah, it can claim it had no hand in the attack. This only increases the likelihood of war. Russia is no friend of Israel either. Russia has a history of anti-Semitism and aligning itself with Israel's enemies. As the region's sole nuclear power, Israel is Russia's key obstacle to spreading control and influence throughout the oil rich Middle East. Meanwhile, Israel's longtime ally Turkey is breaking ties with its secular past. Erdogan is pushing Turkey toward a more antagonistic stance when it comes to the U.S. and Israel. In short, post-war Syria is more of a threat to Israel than the pre-war Assad regime. 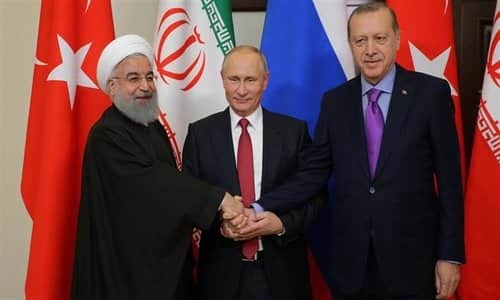 It's not a stretch to imagine all three of these nations - Russia, Iran, and Turkey - uniting in opposition to Israel. And right now all three are consolidating power on Israel's northern border. In doing so, they're setting the stage for the fulfillment of a 2,600 year old prophecy. Notice anything? That's right. The three most powerful nations on the list - Russia, Iran, and Turkey - now reside in Syria. If U.S. troops pull out of Syria, their absence will pave the way for further influence in Syria from these three nations. They'll consolidate their power until every square inch of the nation becomes a de facto province of one of the three. On February 14, the leaders of Russia, Iran, and Turkey met in Sochi, Russia to devise a joint plan to wipe out terrorists in Syria. Their military forces are now cooperating in Syria. This puts their joint military forces right on Israel's border. And not just any border - Israel's northern border. Ezekiel said this invasion force will come from the north (Ezekiel 38:15; Ezekiel 39:2). So now we have the three most powerful nations in Gog's invading force cooperating with each other and stationed on Israel's northern border. Is this mere coincidence? I don't think so. Never before have the military forces of these three nations been on Israel's northern border at the same time. And never in the history of the world, have the three cooperated militarily. Until now... The Bible said this would happen, and here we are. 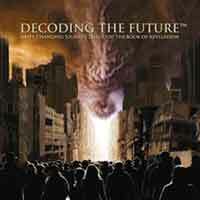 The stage is now set for the fulfillment of the Ezekiel 38-39 prophecies. 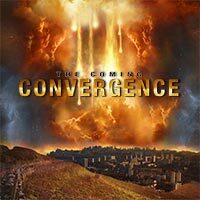 Eventually, Russia, Iran, Turkey, and the other nations in the Gog of Magog alliance will send an overwhelming invasion force against Israel (Ezekiel 38:8-9). The world will not come to Israel's defense (Ezekiel 38:15-16). But God will. He'll put His full power on display and supernaturally destroy Israel's invaders (Ezekiel 38:18-23). So what does this mean? 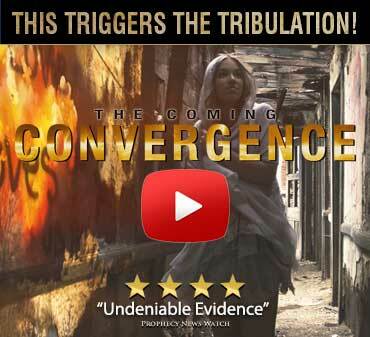 It means you should expect more and more events in Syria to align with Ezekiel's account. Expect this alliance to get closer. Expect Israel to become more isolated. And expect the other nations Ezekiel cited to join Russia, Iran, and Turkey. 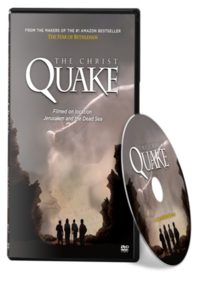 Most of all, recognize we're in the last days (Ezekiel 38:8; Ezekiel 39:25-29), and live your life in expectation of the soon return of Jesus Christ. 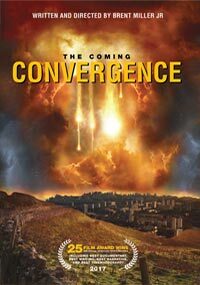 Britt Gillette is author of the book: Racing Toward Armageddon: Why Advanced Technology Signals The End Times - available in our online store here.